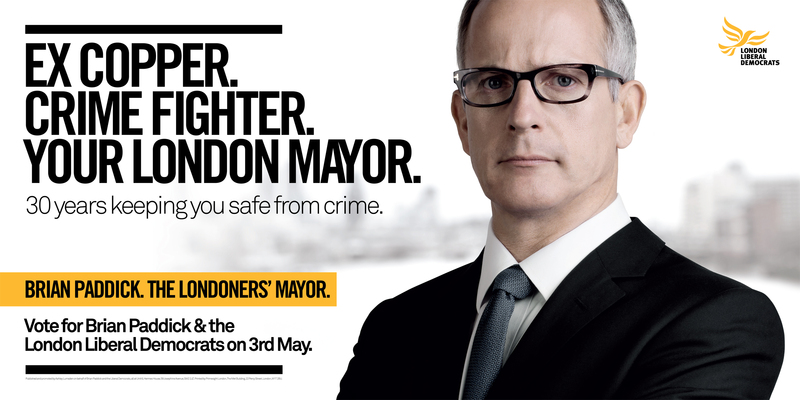 Brian Paddick, the Liberal Democrat candidate for the office of London Mayor, has released a new poster (top) which reminds voters what he looks like and gives a pithy, single-minded reason as to why they should put a cross next to his name on May 3rd 2012. 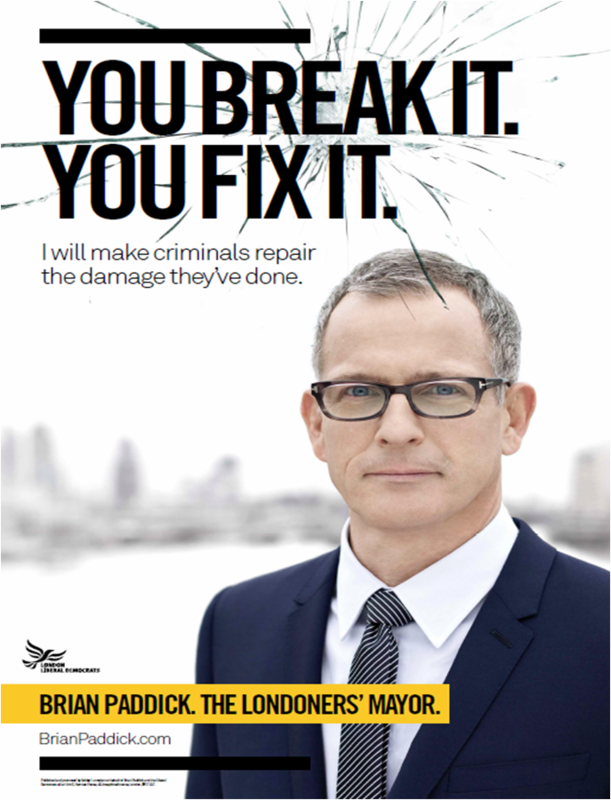 The poster is a follow-up to an execution ‘You break it, you fix it’, which ran in March, that outlined Paddick’s policy of punishing criminals with community service, as opposed sending them to jail. I like these posters. The campaign has decided that they’re going to hang their hat on the issue of crime, a no-brainer given Paddick’s background, and they’ve executed it cleanly and simply. When you’re running a candidate with relatively low levels of name or face recognition in such a personality-based election, you can’t be too ambitious with your advertising. These ads do the basics very well and anything more discursive would have probably been a mistake.